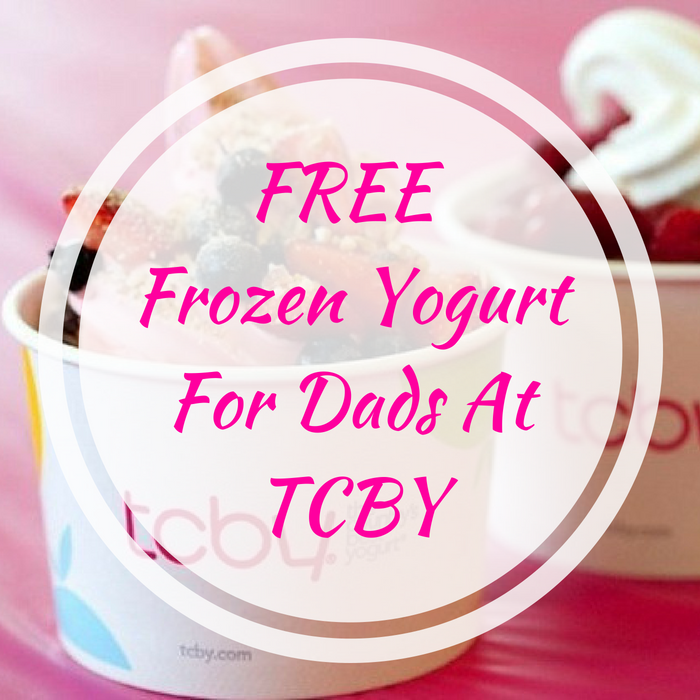 FREE Frozen Yogurt For Dads At TCBY! You are here: Home / FREEbies / FREE Frozen Yogurt For Dads At TCBY! On June 17 only! Here’s a treat for all dads! Participating TCBY locations will be offering a FREE Frozen Yogurt for all dads in celebration of Father’s Day! Sweet! There’s more! Go and comment on TCBY Facebook Page why you have the best dad and hashtag it with #TCBY4Dad for a chance to win a $50 Gift Card to TCBY! This ends on 6/10 so hurry and do it now!